With 29 supplements and counting (30 if you include GURPS Magical Styles: Dungeon Magic) and the Dungeon Fantasy Roleplaying Game, it's safe to say that GURPS Dungeon Fantasy is the longest-running and most successful GURPS series. 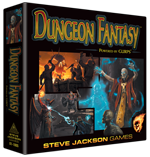 Yet dungeon-crawling adventure for GURPS didn't start with the release of GURPS Dungeon Fantasy 1: Adventurers in December 2007. Dungeon exploration was a regular theme in all three volumes of Pyramid: Volume 1, which ran from May 1993 to March 1998 as a bimonthly print magazine; Volume 2, which ran from April 1998 to November 2008 as a weekly web zine; and Volume 3, which launched in November 2008 as a monthly PDF series. We published nearly 15 years of articles on the subject before we devoted a series to it! 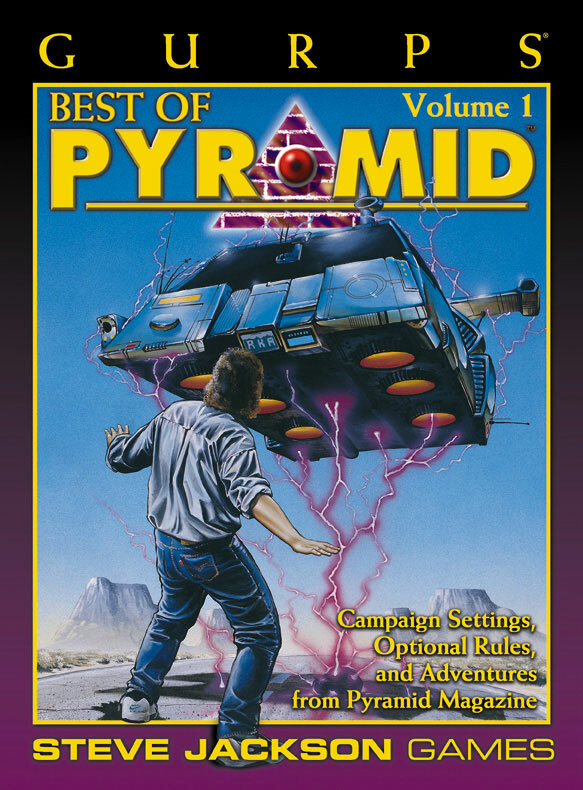 Volume 3 content is easy to find: 11 issues of Pyramid are dedicated to GURPS Dungeon Fantasy or the Dungeon Fantasy Roleplaying Game, and many others touch on the subject. All remain available on Warehouse 23. All are compatible with GURPS Fourth Edition. Volume 1 and 2 content that remains accessible (as "classic" reprints, sample articles, etc.) is outdated – all Volume 1 articles and more than half those for Volume 2 supported GURPS Third Edition (1988-2004). The material isn't formatted to look like today's GURPS supplements, which can make it difficult to use. And a lot of it simply isn't available – it's in danger of being lost to time. To address these problems, we plan to release what we're tentatively calling the Pyramid Dungeon Collection – a compilation of the best articles about dungeon-crawling written for Volumes 1 and 2 of Pyramid, updated to GURPS Fourth Edition rules and presentation. We think that would be a cool way to support a popular series and preserve a piece of gaming history! The catch? Even we don't have all the articles in a handy, indexed form. We also don't have the staff resources to throw at updating the stats and formatting. So here's what we're proposing. If you . . . Your name as you were credited for the article. Your article's title as it was published. The issue number (Volume 1) or release date (Volume 2) of your piece. A short sentence on why your work should make the cut; e.g., "These monsters would be great for dungeons." If you want to get involved but feel shaky about rules or formatting, we'll consider working with a proxy, but that won't change how much we pay; you'll be splitting a modest sum between you. If the rate doesn't work for you, our apologies – that's what we can afford and we won't be negotiating exceptions. Space is limited, and the cutoff for proposals is SEPTEMBER 1, 2018, so please act quickly!